Ollantaytambo or Ollanta as more affectionately referred to by locals is one of a kind, the only living Inca town that continues to maintain ancient customs and traditions. The Valley is abundant with Inka sites and geographical interesting terrain but Ollanta has so many on the door step, in moments you can be up the mountain, surrounded by nature and soaking up the Inkan history. 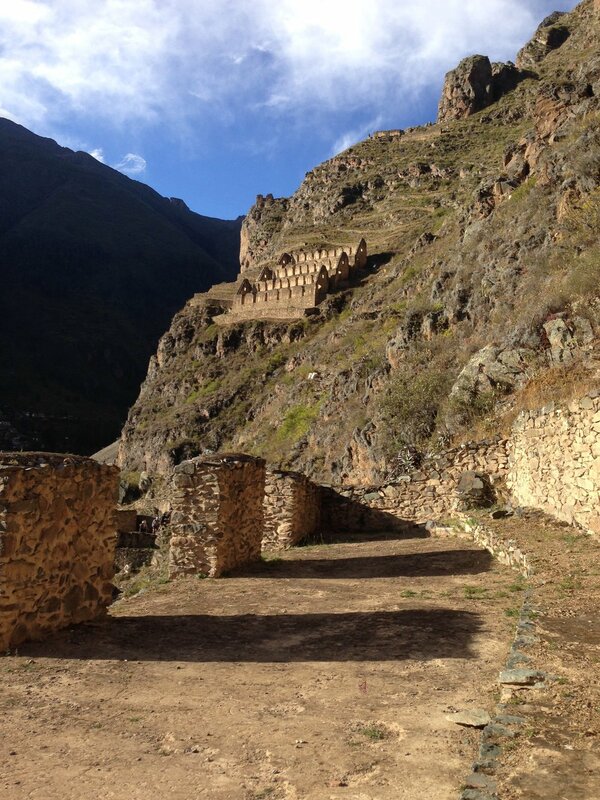 Also read our blog post about the history and mystery of Ollantaytambo through the link below. This mountain is host to Tunupa, a messenger of the deity or supernatural being called Viracocha. Viracocha means creature from nature that protects the entire universe, and is located at the top of a tree that represents nature in all its purity. Tunupa’s face overlooks the town from where he was thought to bestow his wisdom gained from constellations and the movements of the sun, mood and Venus, all believed to be created and controlled by Viracocha. During the Inca Empire, Ollantaytambo was presumably the royal estate of Emperor Pachacuti, who conquered the region, and built the town and a ceremonial center. It was home to the Incan nobility, evidenced by a large, well preserved dwelling called Quoracay. After the Emperor’s death the town passed to his family and eventually to Manco Inca Yupanqui (Inca Manco), leader of the Inca resistance who used it as a stronghold against the Spanish conquistadors. This was the only site where the Inca’s beat the Spanish, flooding the town and forcing a retreat. 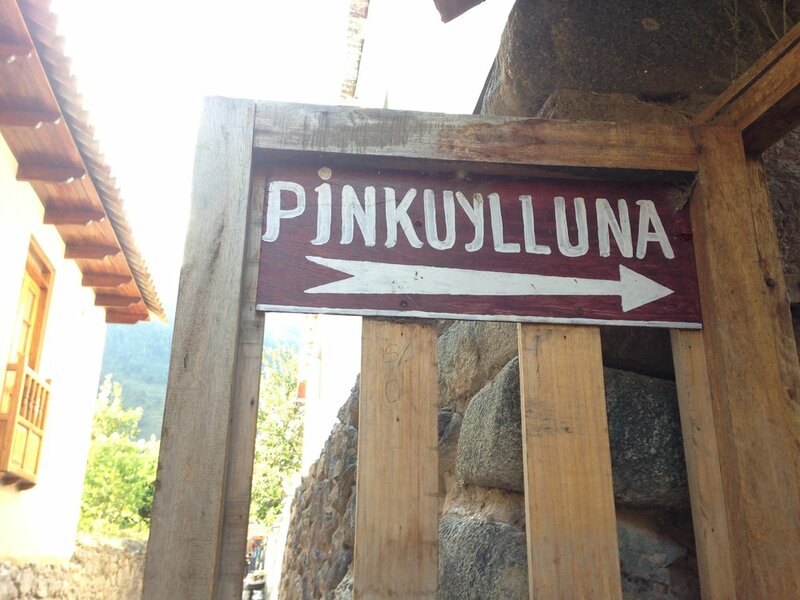 However, the town was too vulnerable and too hard to defend, so Inca Manco fled to the jungle. Ollantaytambo is full of archaeological structures like astronomic observatories, graneries designed to dry food, storage units, and urban dwellings. Perhaps the most impressive is the fact the houses built by the Emperor are still here and you can stay in them! The original part of town has the oldest, continuously inhabited dwellings in South America, some are now hotels and guest houses, others are homes to locals or shops. The cobbled streets are lined with the Inca built irrigation system and it’s a pedestrian only area. The unique, finely cut stone that connect perfectly still stands perfectly in all its finery. Most moderate months are: September through to December; you will experience a pleasant climate with good average temperatures, cooling at night but not dramatically. Rainy Season is: December through to March, although wet, it’s harvest time, with all fruit, berries and vegetables freshly abundant. Dry Season is: May through to September, during this time the sun is strong in the day but the temperature drops considerably at night. On average, the warmest month is September, the coldest is July, the driest June and February is the wettest. The Inka Trail is closed in February, as are many businesses who tend to do maintenance work and renovations ready for the next season.